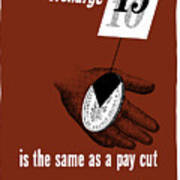 There are no comments for An Overcharge Is The Same As A Pay Cut. Click here to post the first comment. This vintage World War II poster features an open hand, holding a coin that's missing a portion of it's value. 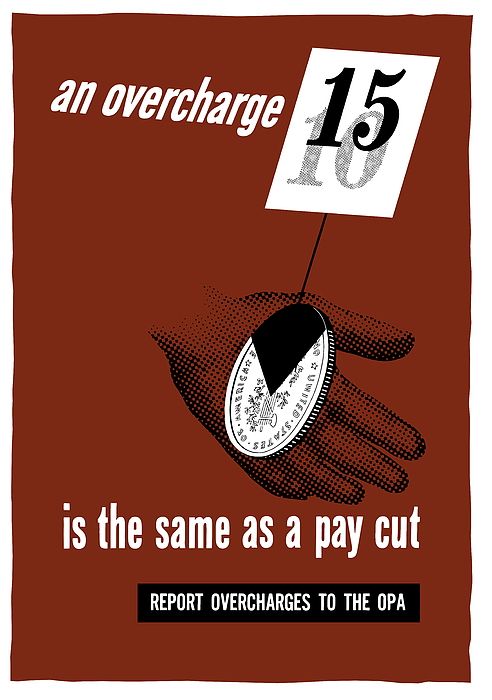 It reads, "An overcharge is the same as a pay cut -- Report overcharges to the OPA". 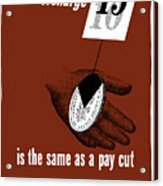 Celebrate WW2 History with this digitally restored vintage war poster from The War Is Hell Store.